Check out some of the canyon knots, hitches and bends you need to know from Backcounty.com’s article 7 climbing knots you need to know. Don’t leave home without them. What is it: A knot used for joining two ropes together for a rappel. The Offset Water Knot, otherwise known to climbers by the misleading (and inaccurate) name of “Euro Death Knot” (EDK), is the best knot for joining two ropes together for a rappel. Why it’s cool: Easy to tie. Easy to untie. Less likely to get hung up on rock features during rappels. Red Flags/Rules: Leave at least 8 to 12 inches of tail. What is it: The basic knot for “tying in”—i.e., for tying the rope to your harness. Why it’s cool: Easy to inspect. Easy (enough) to untie after being loaded in a fall. What is it: A knot for tying climbing slings to various features including: the belay loop of your harness, bolt hangers at anchors, and “threads” of rock, horns/chicken heads on trad routes. Why it’s cool: Easy to tie, can be tied with one hand, and is useful in many situations. Red Flags/Rules: Don’t leave slings girth-hitched to your harness belay loop for extended periods of time. What is it: A knot for quickly tying a climbing rope to a carabiner. Great for tying yourself in to an anchor. Also the clove hitch is especially handy when equalizing an anchor using the rope. Why it’s cool: Easy to tie and untie after being weighted. Easy to adjust after being tied. Can be tied with one hand, allowing you to quickly clip to an anchor or bolt. Red Flags/Rules: At a certain force, clove hitches will begin to slip, which is why they aren’t recommended as the sole knot for tying yourself into an anchor, and they are best paired with another knot such as a Figure-8 on a bite. However, it’s virtually impossible to ever generate a large-enough and consistent-enough force to cause the clove hitch to slip in a dangerous way. What is it: A knot that allows you to belay or rappel on a rope with nothing more than a single locking carabiner. Why it’s cool: This knot could save you if you drop your standard belay/rappel device. Red Flags/Rules: Not recommended for anything other than emergency use. The Munter Hitch severely kinks the rope, especially in a rappel. What is it: A way to attach a piece of cord to a (thicker) climbing rope. The main use is to back up your rappel device (not covered in article). You can also use a prusik as a way to ascend a rope (if you don’t have a mechanical ascender). There are also a multitude of uses for self-rescue and escaping belays. Why it’s cool: Easy to tie and untie, and may come in handy more than you’d think. With two prusiks, you can ascend a fixed line, potentially getting yourself out of a pickle. Red Flags/Rules: Make sure the loops/coils are neat. What is it: A knot used for tying two ends of a cord or rope together. Use this knot to create a cordellette (a piece of cord tied into a loop) or to create a prusik. Why it’s cool: Reliable, safe knot for joining two ends of a rope or cord together. Red Flags/Rules: This knot will weld itself shut over time, effectively making it impossible to untie. This knot is only to be used for joining two pieces of rope or cord. To join two pieces of tubular webbing, use a water knot (not covered here). The map, the compass, the altimeter and the GPS must all be used in conjunction to one another. A climber should never depend solely on one of these items, but must practice using them as complementary tools. Ok, so none of us here can read Chinese either. But we do know what this article is about. 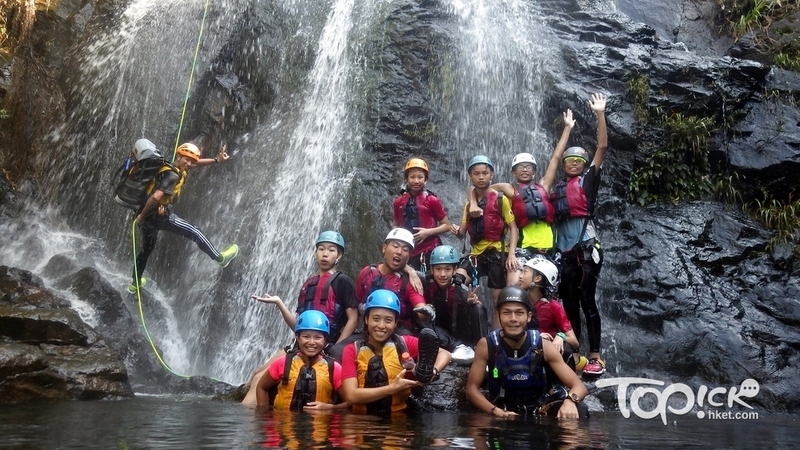 Our students in Hong Kong are committed to using canyoneering as a vehicle to challenge kids and others to get out of their comfort zone and challenge themselves to be the best they can be. Michael Short’s “Let’s Go Outdoors” joins some Canadian Fish & Wildlife officers as they practice swift water rescue skills in the Athabasca River with Joe Storms. Joe is an ACA certified Pro Canyon Guide, swifwater rescue instructor and Jasper Park Warden. The icy waters near Jasper were a real challenge for these recruits as they personally got to experience the thrill and terror of being carried along in the fast flowing river. 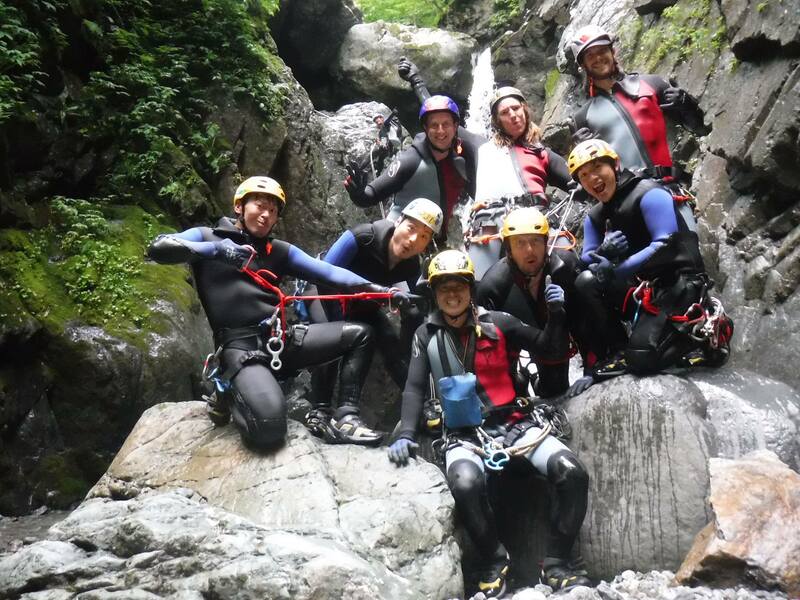 The ACA’s Rich Carlson traveled to Hakuba Japan in May to train canyon guides from Japan, Australia and the UK. 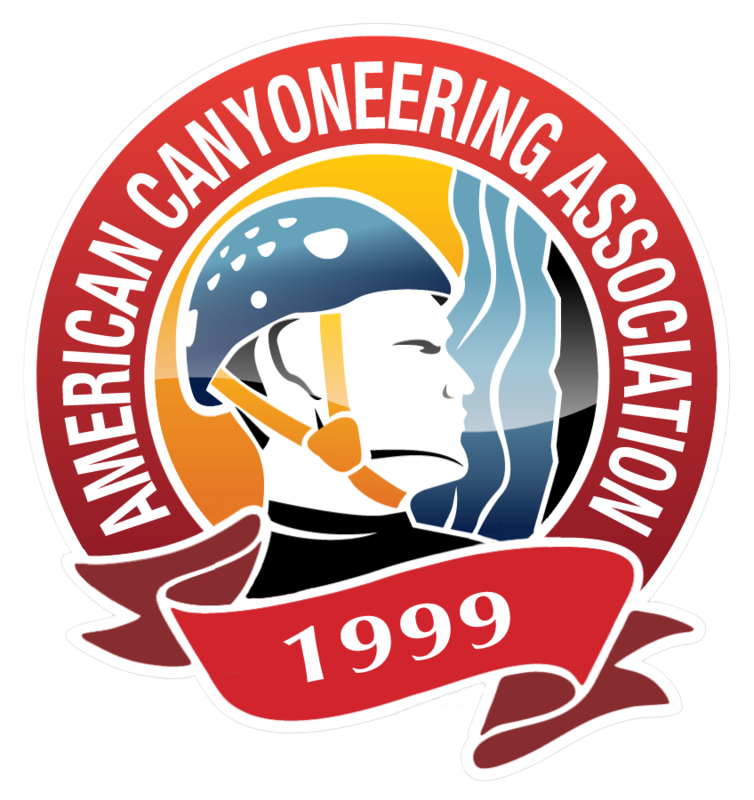 All of the students passed the required assessment for certification as Fixed Site / Single Pitch Canyon Guides, with a few just shy of meeting the requirements for the Pro Canyon Guide level. Congratulations and welcome to the ACA! In this video ACA Instructor, Rich Carlson shows a variety of ways to tie and rig webbing on single-point anchors to address issues that include position, redundancy, strength, efficiency and equalization. Rich also demonstrates three different ways to set up courtesy rigging for rappels.